My little man had another birthday this summer. I went waaaaay complicated a few years ago. 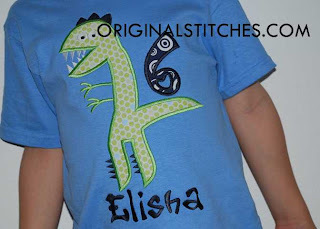 His next shirt was much simpler, except I wasn't paying attention and stitched the back to the front! 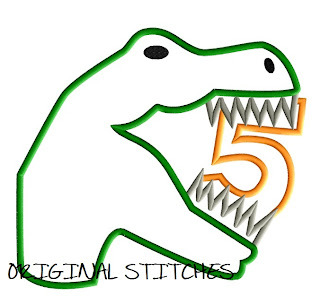 Talk about pulling out stitches late into the night trying to finish up for his "un-birthday" party at school. This year he drew what he wanted. I think we matched it pretty well! 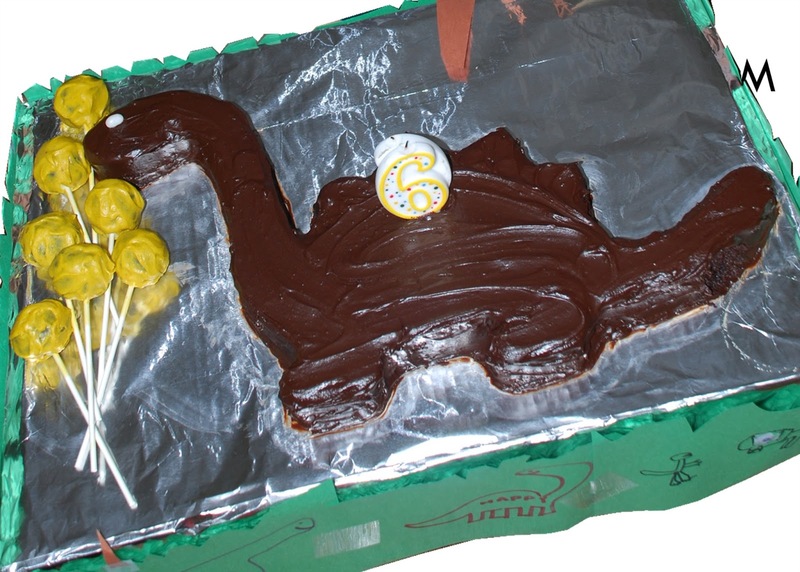 He also wanted a dinosaur cake. I used this template from Kraft. With the leftover cake pieces, I made a few cake pops! I used this wonderful chocolate cake recipe (just adding in 1/2 tsp of espresso powder to really bring out that chocolate flavor - you can't taste it all!) and I topped it with this easy chocolate frosting recipe. Chocolate overload but sooooo tasty! 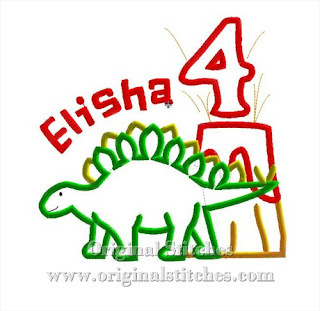 Designed by the birthday boy, this "Monster Allosaurus" applique is now available at http://www.originalstitches.com/applique-designs/animals/monster-allosaurus-p-479.html! This week's guest is Lauren of My Baby Love. Please read on as Lauren tells us a little bit about herself, her business, and her inspiration. Hi! My name is Lauren. I am a stay at home mom to a 3 year old boy and am currently expecting another little one. I work part time from home sewing and monogramming. 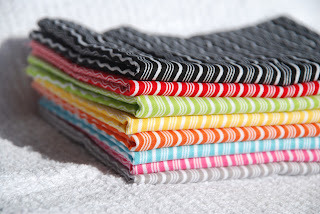 How long have you been sewing & embroidering? My grandmother taught me how to sew 20 years ago and it has been my passion ever since! 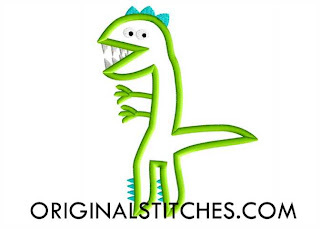 I got my first embroidery machine 4 years ago and my business took off soon after. My favorite items to make are pregnancy announcement shirts and outfits for newborns to wear home from the hospital because it's such an exciting time! My business is called My Baby Love. 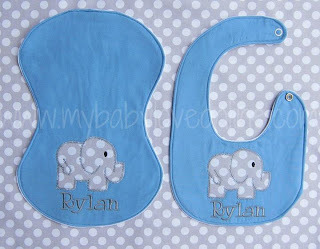 My website is www.mybabyloveonline.com and I'm also on etsy at http://www.etsy.com/people/MyBabyLoveOnline. My facebook page is www.facebook.com/mybabyloveonline. 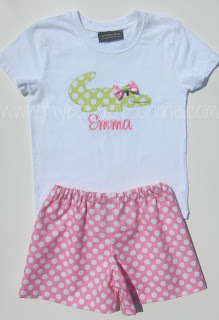 My items can also be found on Zulily and Groopdealz every now and then. 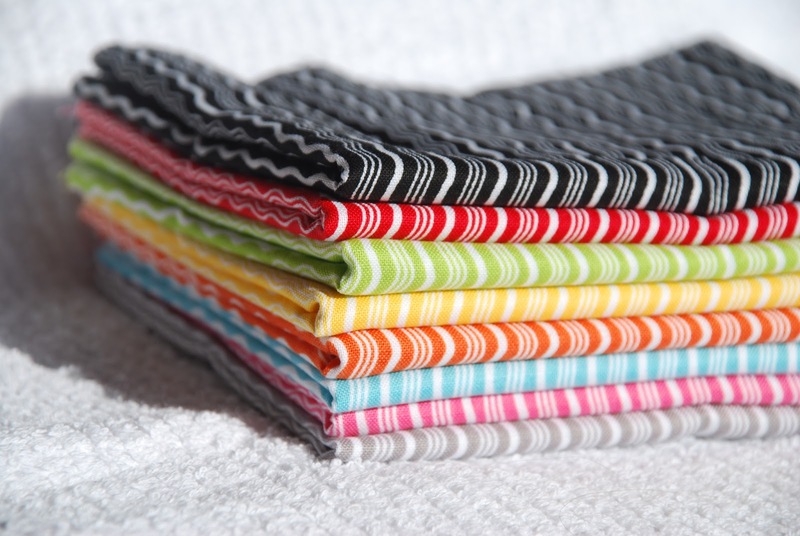 I sell mostly appliqued shirts, but also make pants, dresses, shorts, hair clips, bib, burp cloths and others. 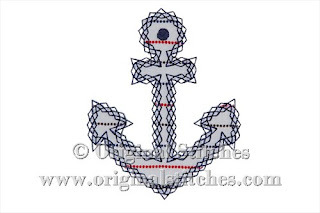 In my years of embroidering, I have learned that you can never learn enough. There will always be new techniques and new products and there is always more to learn. You can use the code FREESHIPMBL for free shipping on all orders next week. Thank you for reading! 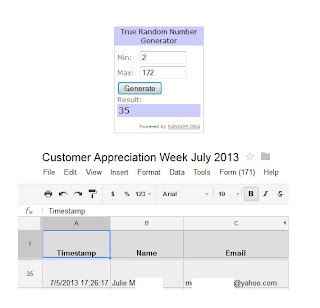 Announcing our winner from our July Customer Appreciation Week.. There were 172 lines on the entry form. Line one was omitted since it was just the heading (171 total entries). With the range from 2-172, random.org selected #35. Congrats Julie! 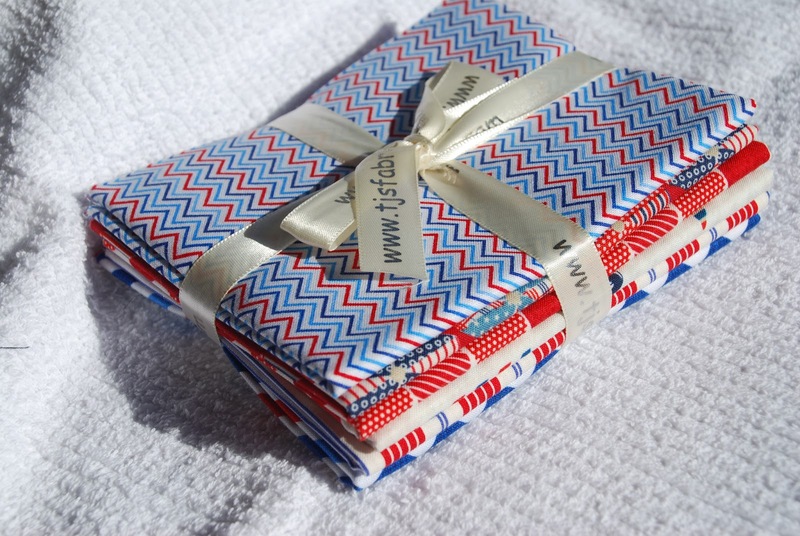 Please check your email as I'll need to know where to send this wonderful bundle of fabric! 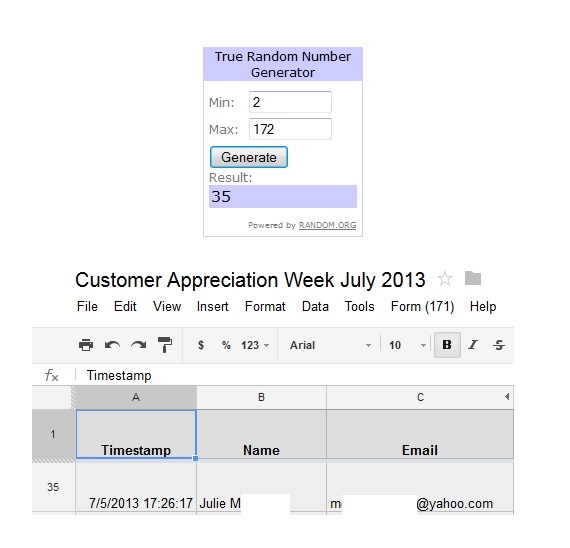 Here is a preview of next month's for August Customer Appreciation Week! You ladies are getting so much nice fabric! I need to start keeping some of these for myself.....don't you think? Welcome to our sixth CAW! The first week of each month will feature a new free verse that will be posted for download on our website (released on Friday) and a new free design for facebook fans (released on Saturday - but with a twist this month). Don't forget to like our Facebook page to stay up-to-date on all of our new releases and freebies! 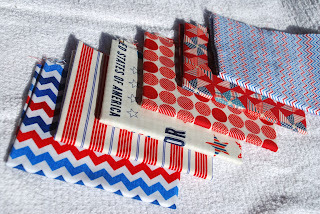 This bundle contains six 1/4 yard cuts of fun 4th of July fabrics. Thank you and please check back next month!